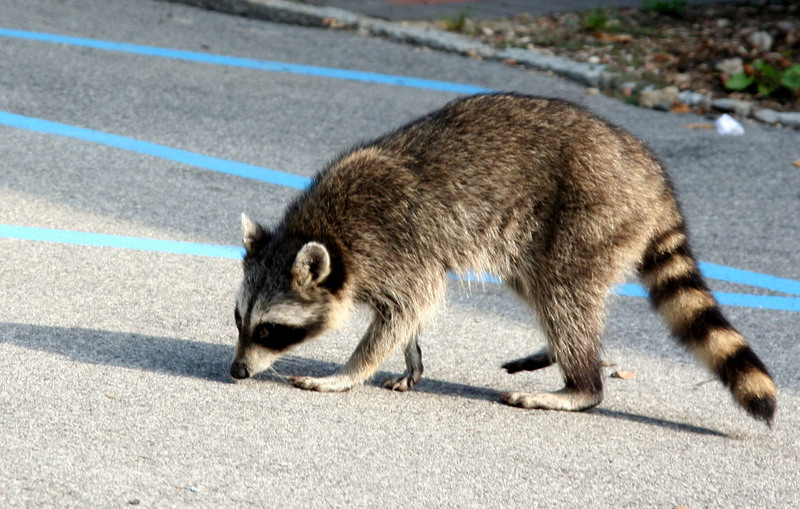 Even if you live in an urban environment, encounters with wildlife are common. 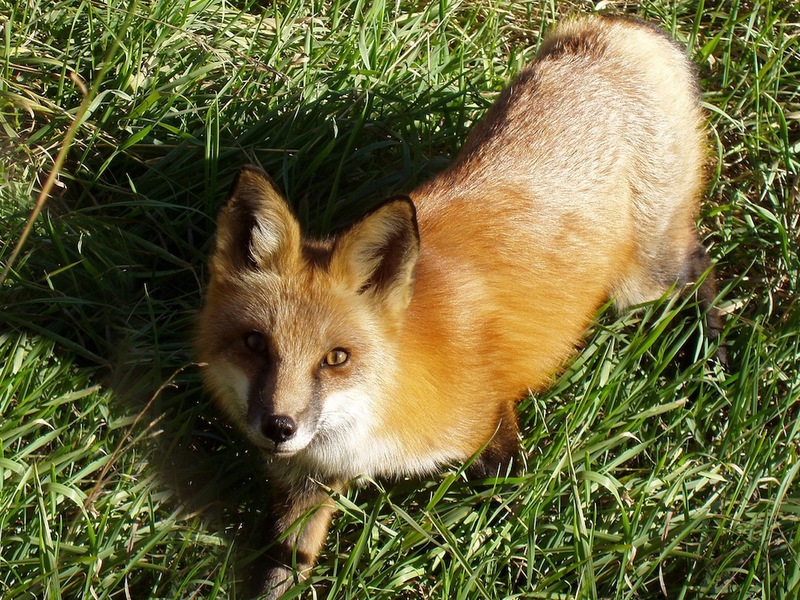 People—animal lovers in particular—who come across what looks like an abandoned or hurt wild animal are often compelled to pick the animal up and care for him. However, that is advisable only in rare situations. 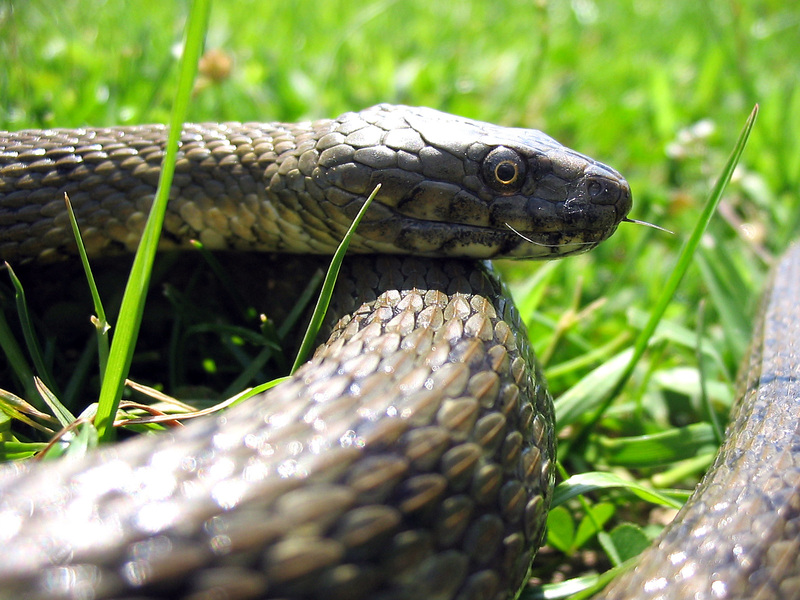 You need to be aware of the potential dangers that wildlife can pose to your pets as well as the potential dangers that your pets can pose to wildlife. Many people’s first instinct when they see a baby animal by herself is to pick the animal up and bring her home. That is not the right move because the animal may not be abandoned. Watch the animal from a distance. Many species are left alone for periods at a young age. Observe the animal for 24 hours. That way you can be sure that the animal is alone and that the mother is not foraging for food. Bird: It is best to locate the nest, pick the bird up with gloved hands, and place him back in the nest. If you cannot locate the nest, create one by putting leaves, grass, or a soft cloth into a small box and placing it in a tree or bush near where you found the bird. Observe for 24 hours to see if the bird is being cared for. Duckling/Gosling: Using gloved hands, place the bird as close to the flock as you can. If the flock accepts the duckling/gosling, everything should be fine. Deer Fawn: Fawns are often left alone while the parents forage, but if the baby deer looks cold, hungry, diseased, confused, or threatened, call a wildlife rehabilitator. Rabbit: If the baby rabbit is at least 4-5 inches long, has fur, open eyes, and is hopping around, leave her alone—she is old enough to be out of the nest. If the nest looks like it has been dug up and there are surviving rabbits, it is best to place them back in the hole with gloved hands, cover them with the nesting materials (which should include grass and fur), and observe for 24-48 hours. If a parent does not return after 24 hours and you are sure that the animal has been abandoned, the best course of action is to alert professionals at your local wildlife rehabilitation center who know how to deal with such situations. NOTE: In some cases there is little to no money for government agencies to fund animal care and control. If this is the case, you may have to call private exterminators—but be careful. Some of them “remove” the animal, and kill him, making no attempt at rehabilitation. CAUTION: Injured wildlife are often scared and may be aggressive when approached. Potential dangers include being bitten, scratched, or exposed to disease. You may also cause the animal to injure himself further by causing more stress. USE COMMON SENSE: If you do not feel comfortable with the situation, call a wildlife rehabilitator immediately and observe the injured animal until help arrives. If it is safe to do so, used gloved hands to pick the animal up and contain him. If the animal is snared, trapped, or tangled, do not try and free the animal yourself, even though it may be very upsetting to watch. The animal is probably stressed and could be aggressive. Call the wildlife rehab center to report the animal’s location and take pictures of the scene if possible. NOTE: You may be held responsible if you free an animal from a legally set trap. If the animal is calm enough to be contained, follow the instructions below. 1. Line a box with holes for ventilation or a pet carrier with clean soft cloth, grasses, and other suitable bedding materials (shredded newspaper works well). 2. Using gloved hands, place the animal in the container. 3. Place the container on a heating pad set to its lowest setting, or wrap a bottle of hot water in a towel and place it in the container for warmth. 4. Secure the container so the animal cannot jump out, which may cause further injury. 5. Keep the container in a quiet, dark place. Do not feed or water the animal. Coyote/Wolf: Use a loud and authoritative voice to frighten the animal. Throw rocks near the animal and become as big as possible. This will show your dominance and intimidate him. Snake: Remain calm and still. Keep your pet close to your side. Step backwards slowly, and only turn your back when you are more than six feet away from the snake. Bear: Control your pet. Quiet barking and aggressive movements. Do not run. Avoid looking like prey. Make yourself look big by waving your arms and making noises. The bear should quickly leave the area. Opossum: These are usually docile and will not attack unless they are provoked or cornered. Keep your dog on a short leash and get out of the area as quickly as possible. 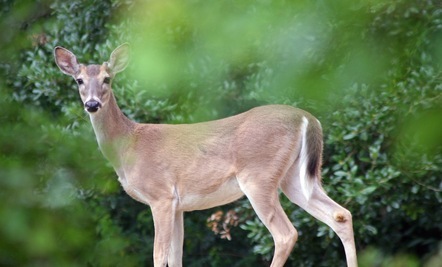 Deer: They do not generally pose a threat unless they feel threatened themselves. Keep your dog close to you and walk past the deer. They should move along. If they make aggressive movements or sounds, turn away and leave the area. 1. Use gloves and a hose to wash your pet’s wounds. Never touch the wounds with bare hands because there may be saliva from a rabid animal present. 2. Call your pet’s veterinarian immediately, even if the wound does not seem serious. 3. Call an animal control officer to come remove the wild animal if she is still present. 4. Have your pet re-vaccinated immediately, even if he is up to date on vaccinations. 5. If your pet’s vaccinations are expired, he may need to be held for observation. Animals cannot be treated after they have been infected with rabies, so it is very important to stay up to date on all vaccines. For more information on keeping you and your pet safe: Please visit TailsInc.com. Has Your Pup Ever Been Skunked? Such a privilege to encounter a wild animal in its habitat.